Elegance arrives in an SUV. One of the most expensive and classiest automobile brand, Bentley, launched the Bentley Bentayga V8 SUV. It is priced at Rs 3.78 crores. It gets a 4.0-litre, twin-turbocharged V8 petrol engine develops 542 bhp and 770 Nm of torque. Read on for more details on the luxury SUV. 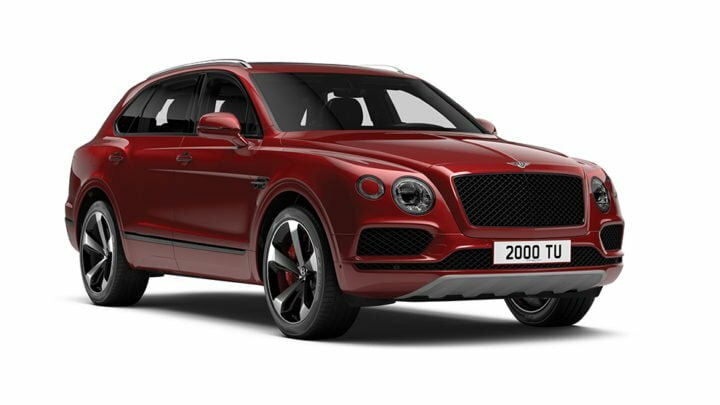 The Bentley Bentayga V8 has launched in the Indian market. One of the most premium offerings by the automobile giant, the car is priced starting from Rs 3.78 crores. So, you can think what features the SUV might have. It gets specially handcrafter luxury interiors along with advanced technology. The SUV sports a 4.0-litre, twin-turbocharged V8 petrol engine that develops 542 bhp and 770 Nm of torque. It records 0-100 km/h in 4.5 seconds and a top-speed figure of 290 Km/hr. It gets Optional carbon-ceramic brakes, which is world’s largest front brake system being offered as a first. Also, there is a choice of 11 wheel designs. Bentley claims that this SUV offers ultimate Grand Touring experience unrestricted by landscape or conditions. In terms of technology, it might astonish a lot of people. The Bentley Bentayga V8 offers the widest range of on- and off-road drive settings of any vehicle via Bentley’s Drive Dynamics Mode and optional All-Terrain Specification. Up to eight modes (four on- and four off-road) are available, for a perfect dynamic set-up for any surface or road condition. The shape is defined by the Bentayga’s unique muscular, sculptural lines, balancing athleticism with an unmistakable presence on the road. It gets four round LED headlamps on its large matrix grille. It also gets sporting red brake callipers for the front and rear standard iron brakes. 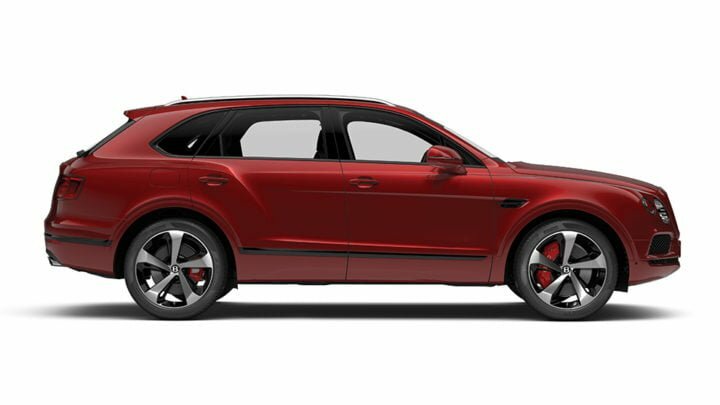 The callipers are painted in special, high-temperature resistant Tornado red paint, and signal strongly the dynamic intent of this performance-oriented Bentayga V8. A purposeful black and chrome grille at the front is complemented by Bentley ‘twin-quad’ exhaust tailpipes at the rear, both of which provide a further subtle reminder of the new engine specification. In terms of technology, Bentley Bentayga V8 gets state of the art features. The SUV gets Park Assist that detects suitable parking spaces (both parallel and perpendicular) before autonomous steering takes over to support parking manoeuvres. Other features include Night Vision, Head-Up Display, which reduces driver distraction, an 8-inch touchscreen infotainment system with a 60GB hard drive, and a choice of up to 30 languages. For the rear passengers, there is a removable 10.2-inch android device with 4G, wifi and Bluetooth. For engine and performance, Bentley Bentayga V8 gets a 4.0 Litre twin-turbocharged V8 petrol engine. It has a total driving range of 746 kms. It delivers a top-speed figure of 290 km/hr. The stylish twin-quad exhaust pipes and optional carbon-ceramic brakes make the car look more sporty.